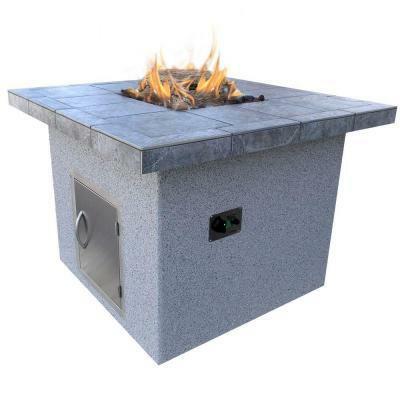 Perfect for nighttime gatherings with family and friends, Cal Flame's 55,000 BTU Gas Outdoor Rectangular Fire Pit with Tile Countertop will keep you warm on cool evenings. 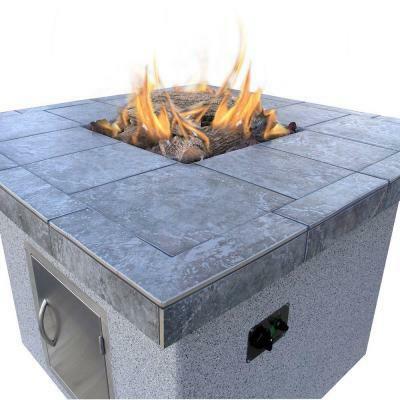 This breathtaking rectangular fire pit features a striking countertop design, stuCCo base, fire log set and lava rocks. Liquid propane fuel tank can be stored out of site behind the 18 in. stainless steel access door. Dimensions: 48 in. x 48 in. x 35 in.